My primary research is in using seismic waves to better understand continental tectonics and mantle dynamics. With novel observations and theoretical advances, I have developed new methods for recovering the seismic structure of the Earth, from full-mantle heterogeneity to small-scale discontinuities in the lithosphere. My ongoing efforts have focused on the vital task of quantifying how uncertainty in data and physical approximations relate to uncertainty in seismic models in order to better understand the inferences we draw about the Earth. 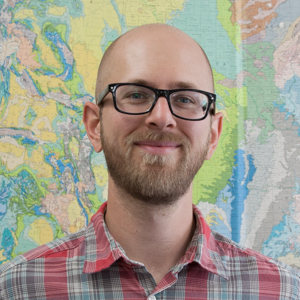 Although my training and passion have been for structural seismology of the crust and mantle, lately I have been interested in bringing my expertise in inverse theory to bear on more diverse problems like mass spectrometer data reduction and the imaging of glacial aquifers.